Marks/Label: The number "132692" and "PENALTY FOR MISUSE 500 DOLLARS OR SIX MONTHS IMPRISONMENT" stamped on back. Narrative: This is part of a lot of items donated by Lyle Bryson. 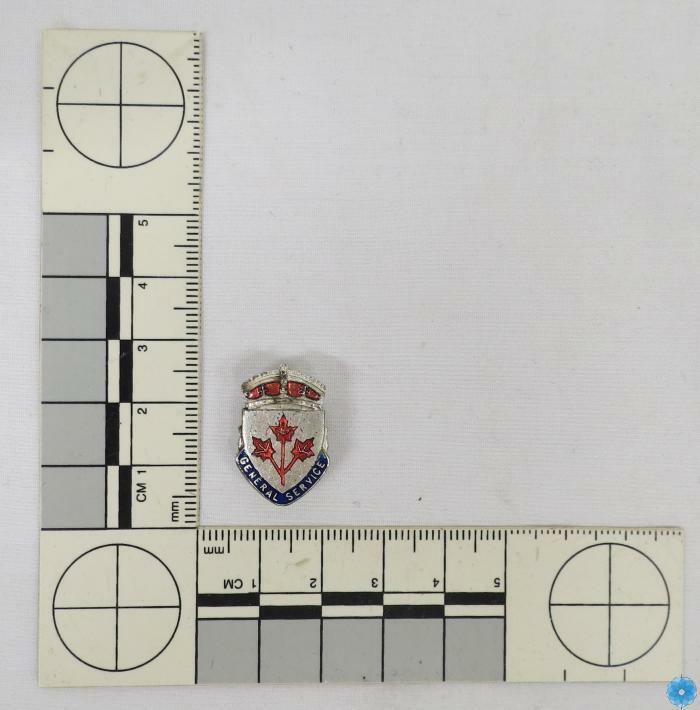 Badge is attributed to Major Harold Bryson.. Description: A General Service Badge composed of a crest containing three maple leaves with "GENERAL SERVICE" in a banner at the bottom, a crown above the crest, with a screw pin clasp on back.